DroidLock offers a simple, and fresh look at device management! With many features and the steady development of new features, DroidLock is making device management and all of the benefits that come with it, accessible to everyone. DroidLock works in almost any situation where Android devices are being used in a business environment. With options for company-owned devices, single-function devices (such as tablets, kiosk) and even BYOD, DroidLock is an all-inclusive Device Management Solution. Device Profiles allow you to create a profile/configuration that will automatically install the applications, web shortcuts and branding on the device when it is applied. Device Groups allow an organization to organize devices into specific groups, which could be different departments, or different locations, or however you need to organize your devices! 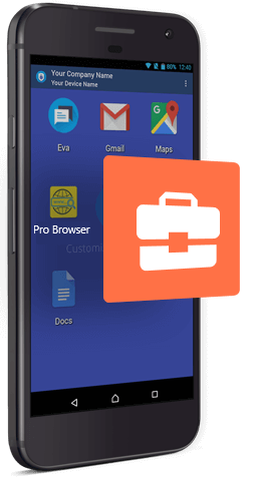 The Kiosk Browser (or LockDown Browser) is a highly configurable web browser exclusive to DroidLock, which allows you to decide which websites can or cannot be visited on your Android Devices. Websites can be "whitelisted" to allow access to them or "blacklisted" to prevent access to certain websites. ​Clear the browser cache on any device, to troubleshoot access issues. The Location Tracking and History feature allows you to determine where devices are and where they have been, all in real-time! DroidLock automatically captures device location information at set intervals, to give you a visual representation of where devices are located at all times! The Bulk Enrollment feature allows you to quickly enroll and configure devices. Bulk Enrollment is a great feature for when you are initially enrolling your devices or adding new ones, with IMEI based enrollment via CSV file, QR code deployment and more! Pre-configure a CSV file with all the appropriate information : Group/Profile, Device Name, Brand and more! Enter your IMEI numbers into DroidLock and automatically configure your devices! Create QR codes which will automatically configure your devices! Custom Branding allows you to change the look of your devices. You can change the logo, the colour of the top bar, the background wallpaper and more to give your devices your own custom feel! Configure the logo, colour of the navigation bar, wallpaper, app icon size, app label colour and more! ​Reduce clutter and customize the look of your devices even more! Create custom roles and configure as many administrators as needed! Each device group can have it's own administrator or any administrator can manage any device group. Turn on / off the location tracker or notifications with one click. Global settings for all of your devices allows you to choose which features are being used by devices and enable Global security settings for every device. See detailed reports on data usage, location history, and create custom notifications for device behaviour. The application management option provides the ability to manage and distribute Applications using multiple methods. You can find and distribute public applications using the Play Store, or upload your in-house and non-public applications to the built-in Enterprise Store! Managing and deploying applications has never been easier!